Jack Hunt Coin Broker (JHCB) (www.jackhunt.com) is a precious metals dealer that specializes in selling gold and silver coins and bullion. They also buy scrap metals in bulk from regional pawnshops, collectors, and jewelry stores. The business was founded in 1968 and has been operating locally in Buffalo, New York for more than 4 decades. Up until 1979 the business was primarily a wholesale provider of numismatic coins. However, in the 1980's JHCB shifted towards coin/bullion selling and scrap precious metals buying. Since then the company has bought and sold more than 35 million troy ounces of gold, silver, and platinum. The owner and CEO of Jack Hunt Coin Broker is none other than Mr. Jack Hunt himself. However, Scott Hunt (Jack's son) has been serving as the company's president for a few years. Scott holds a Bachelor of Science in Marketing from Canisius College (Class of '91), and he worked for his father's company for 20 years before being promoted to President. JackHunt.com is JHCB's wholesale site, through which it sells gold and silver coins in bulk to registered coin dealers. 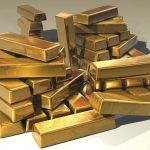 If you're an individual looking to purchase coins to be stored in an IRA you might not be able to purchase precious metals through Jack Hunt's wholesale division; you may have better luck at their retail website – JackHuntGoldSilver.com (JHGS). For more information on their gold products and prices, see the JHGS retail gold bullion catalog. There are no mentions of IRAs on either of Jack Hunt's websites, and the company does not appear to offer any precious metals storage services. 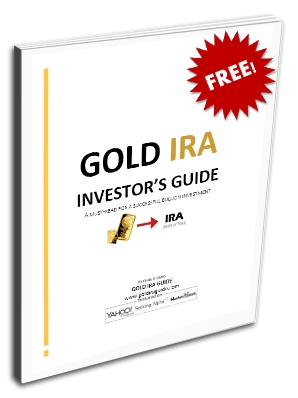 Therefore, if you were to purchase precious metals from JHCB or JHGS with the intention of depositing directly into an IRA, you would first have to choose a custodian that would be willing to accept delivery of the metals on your behalf. About Us Page – Page on JCHB's retail site (JHGS) that discusses the company's history. Gold Bullion Catalog – Example listings of the gold bullion products JHCB sells to its wholesale members. Silver Bullion Catalog – Example listings of silver bullion products that are available to JHCB's wholesale clients. Most financial advisers recommend devoting about 5%-20% of your retirement portfolio to gold and other precious metals that protect against inflation, in order to safeguard a fraction of your wealth through retirement. While 5%-20% may not be the majority of your holdings, in the event of a serious recession or global financial crisis, that minority could start to hold a majority in importance as the value of gold increases while the dollar and other fiat currencies plummet. Thus, choosing how to invest that seemingly small 5%-20% is one of the most critical retirement decisions you'll have to make. Does the company have a great reputation? Does it charge fair prices for its IRA-eligible bullion (including shipping policies, etc.)? Is it partnered with an IRA custodian that charges a flat-rate fee, or do their custodians charge sliding scale fees? The first two questions above should be fairly easy to answer. However the answer to the third question is usually not so apparent. Usually you can found out which IRA custodians a company is affiliated with by searching through IRA-related pages on their website. However, sometimes the company may request that their clients call for more information, so the custodian fee structures are not always transparent. By far, the most important aspect of choosing a custodian (aside from reputation, of course) is whether they charge a low flat-rate fee that stays the same regardless of the value stored in the account. Dealing with a custodian that charges a sliding scale fee will not facilitate an ideal investment because the cost of annual storage will increase as more precious metals are deposited into the account. If you're an owner, representative, or associate of Jack hunt Coin, and you've noticed any information within this review that is inaccurate, misleading, or outdated, please feel free to contact us with revision or removal requests. With the goal of giving our readers the most accurate reviews possible we will honor any honest, fact-based requests. Jack Hunt Coin Broker is a precious metals dealer that specializes in selling gold and silver coins and bullion. They also buy scrap metals in bulk from regional pawnshops, collectors, and jewelry stores. The business was founded in 1968 and has been operating locally in Buffalo, New York for more than 4 decades.